At the start of the 20th century, Ireland was a part of the United Kingdom, as it had been since the 12th century. And as long as Ireland had been part of the UK, there had always been voices calling for Ireland’s independence. The Anglo-minority in Ireland acted as absentee landlords to the Catholic populace (with those absentee owners owning almost every square inch of land in Ireland), treating their tenants extremely poorly. When a potato blight struck Ireland in the 1840s, England did little to help as about one million Irishman starved to death, and about two million more fled to America. British troops quickly put it down, and the leaders who survived the uprising were put to death by firing squad. The Easter Uprising was a polarizing event for the Irish – about half of the populace seeing it as treasonous with so many Irishman fighting at the front at the time, while the rest saw the rebels as patriots, and saw those fighting for the British in the war effort as the traitors. In the 1918 general election, the revolutionary nationalist party Sinn Fein won a decisive victory. Their members refused to take their seats at Westminster, and instead gathered their own Irish assembly in Dublin. 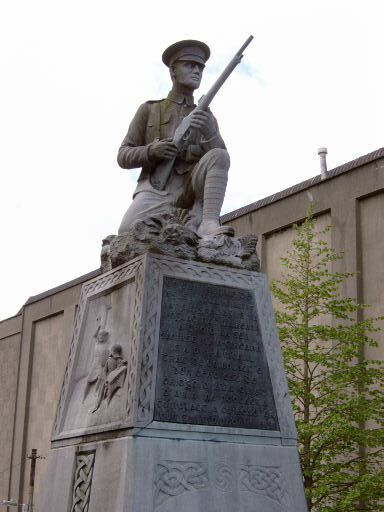 The Irish Republican Army was formed as the military arm of Sinn Fein, and they began striking out against the Royal Irish Constabulary and the British Army, who responded with brute force. A cease fire was declared in 1921, and a group of Irish nationalists signed a peace treaty with the British in January of 1922. The terms of treaty called for the partition of the country, with the south of Ireland becoming autonomous and the six northern counties remaining part of the United Kingdom. Many nationalists were violently opposed to these terms, believing that a dividing Ireland by north and south was unthinkable. They were also opposed to the idea of the south remaining a dominion of the UK, which included an oath of allegiance to the crown. In the end, Ireland was declared a Free State on this day in history, December 6, 1922. In 1937, the Irish people adopted a constitution that declared Ireland to be “a sovereign, independent, democratic state,” and The Irish Free State was re-christened Eire. The Republic of Ireland Act ended the country’s last remaining tie to the British Commonwealth.